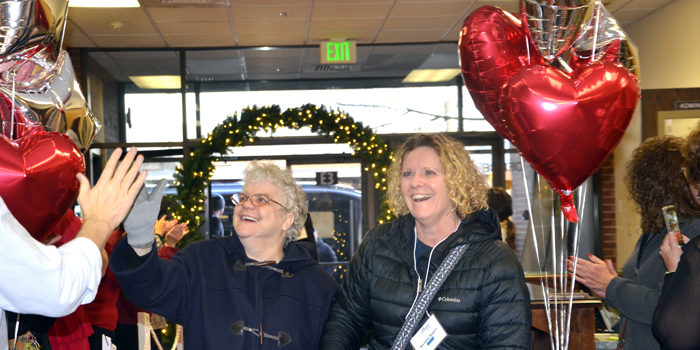 Pictured, from left, Belva Stephens and Kay Ruggier. 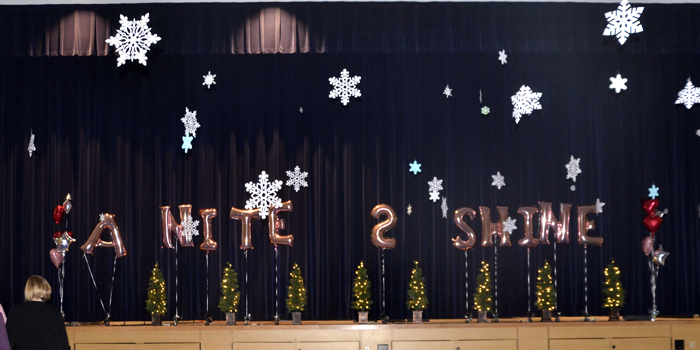 WARSAW — On Friday, Feb. 8, Night to Shine, a world-wide event that offers a memorable prom night experience for special needs members in the community, was held in Warsaw for the second year in a row. 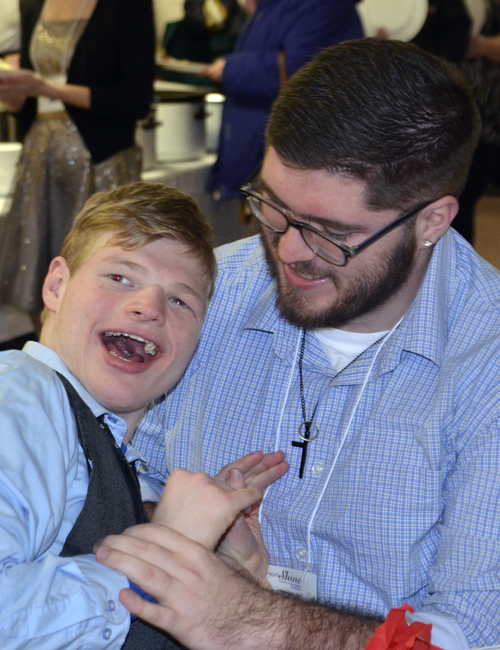 Thanks to Warsaw Evangelical Presbyterian Church, Kosciusko Community YMCA and the Tim Tebow Foundation, guests and volunteers enjoyed an evening of dinner and dancing. 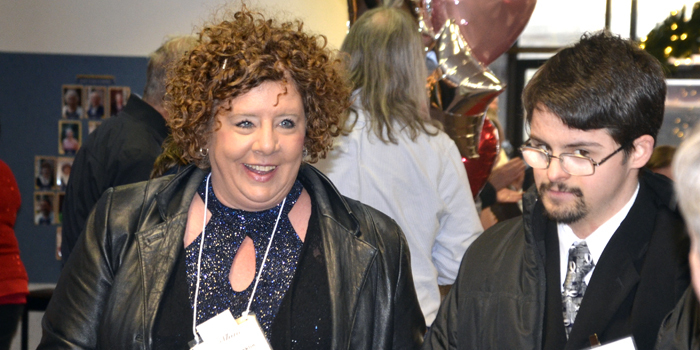 Guests began their evening at the United Methodist Church, checking in and then being pampered with hair styling, make-up and shoe shines. 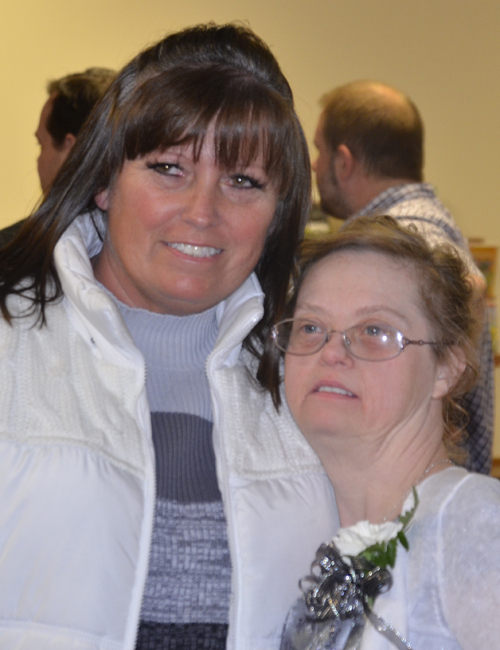 They were then paired with a volunteer buddy and escorted to the Presbyterian Church. 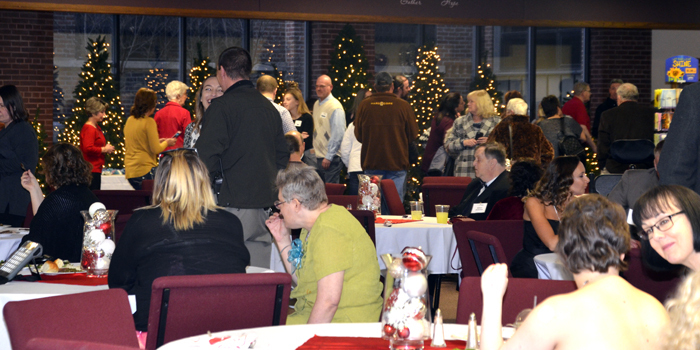 Over 200 volunteers and 125 guests were in attendance at the event. 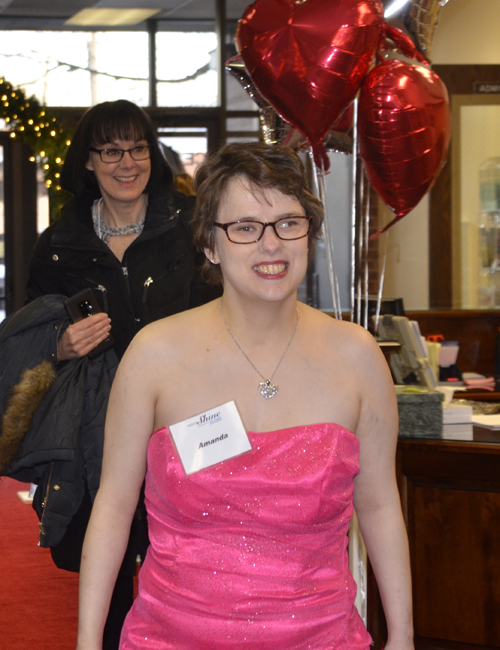 Each guest made a red carpet entrance before enjoying an evening of dinner and dancing. 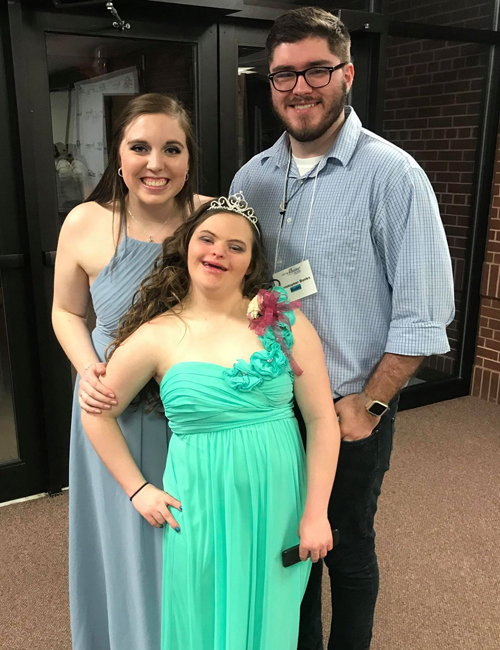 Night to Shine is an unforgettable prom night experience, centered on God’s love, for people with special needs ages 14 and older, hosted by local churches in all 50 states and across the globe all on one night. Pictured, from left, Laura Franklin and Josiah Leichty. 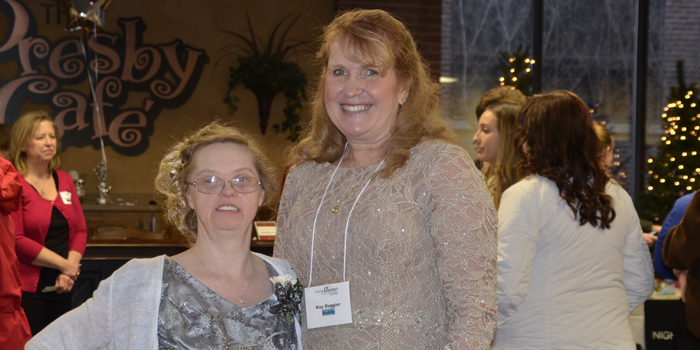 Guests enjoyed dinner and dancing at the Night to Shine event held Friday, Feb. 8. 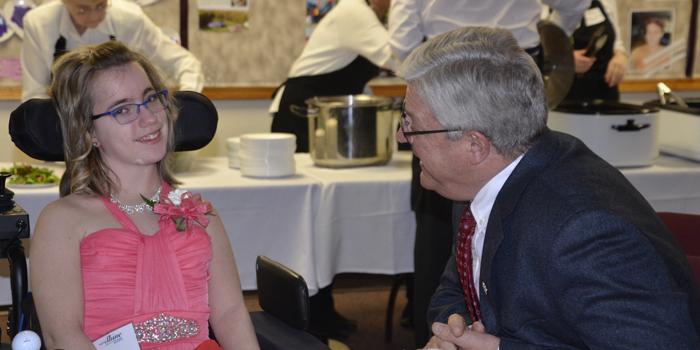 Pictured, from left, Skylar and Warsaw Mayor Joe Thallemer. 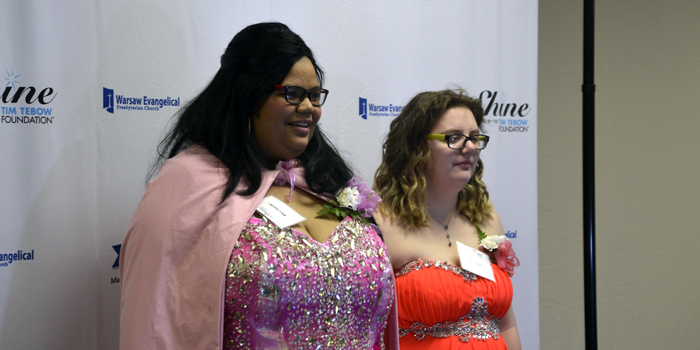 Pictured, from left, Mychelle and Brianna pose for a photo. Guests began their evening at the United Methodist Church, checking in and then being pampered with hair styling, make-up and shoe shines. 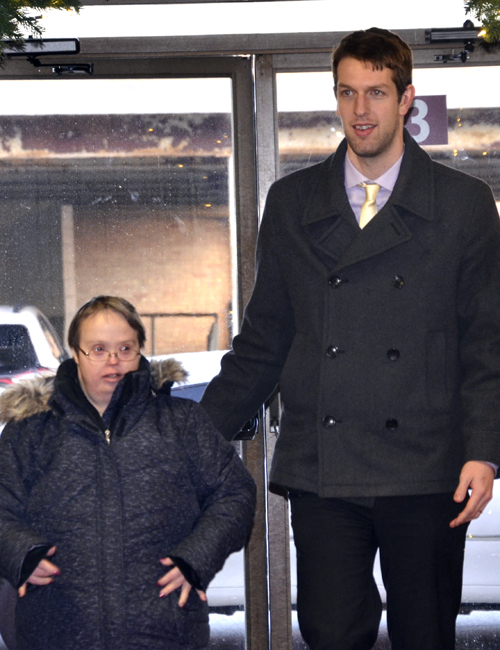 They were then paired with a volunteer buddy and escorted to the Presbyterian Church. Pictured, from left, Charlie Sparks and Christopher Banks. Pictured, from left, Lena Ball and her sister, Belva Stephens. Pictured, from left, Tori Parrett, Morgan Swafford and Christopher Banks. 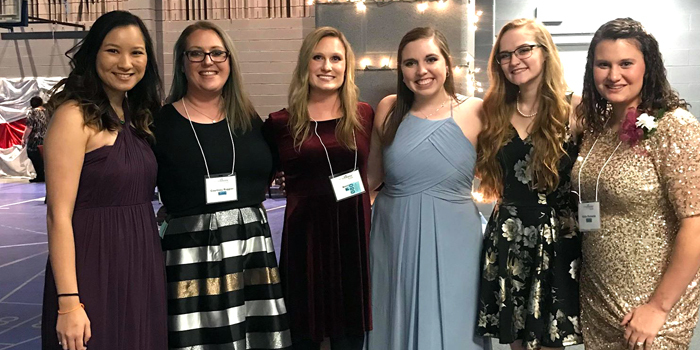 Pictured, from left, WCHS teachers Sydney Sengvixay, Courtney Ruggier, Anna Hall, Tori Parrett, Katrielle Wood, Katie Richards. (Photo provided).